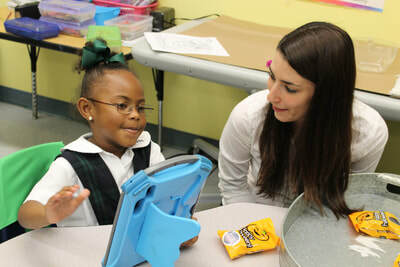 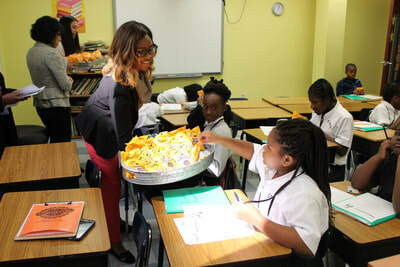 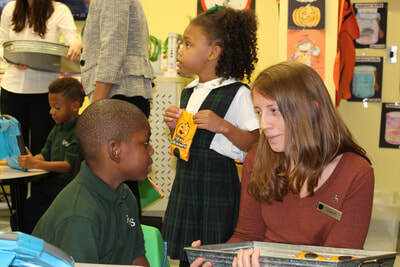 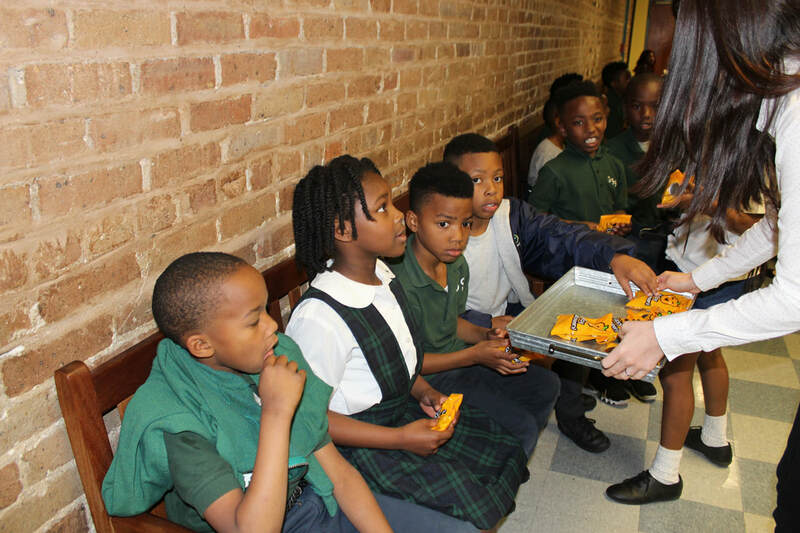 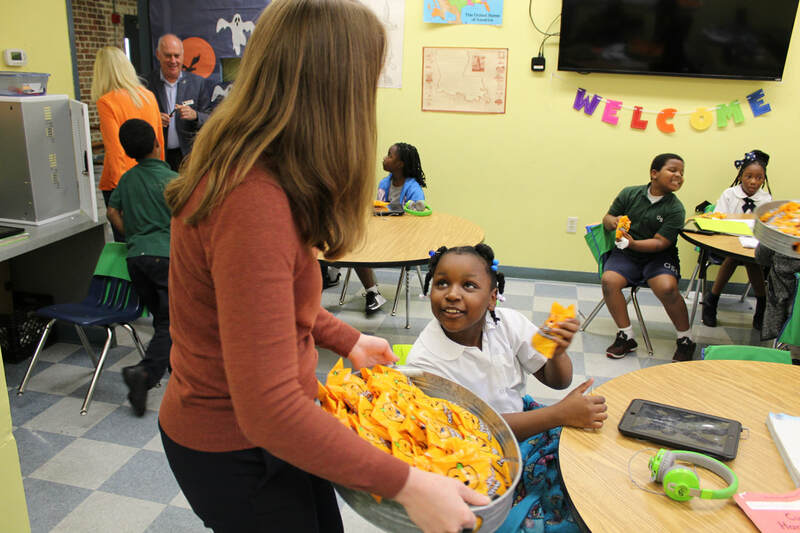 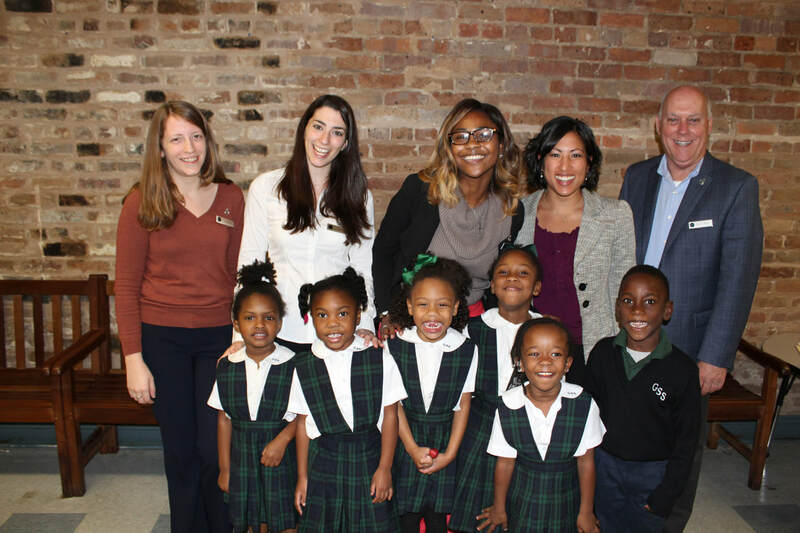 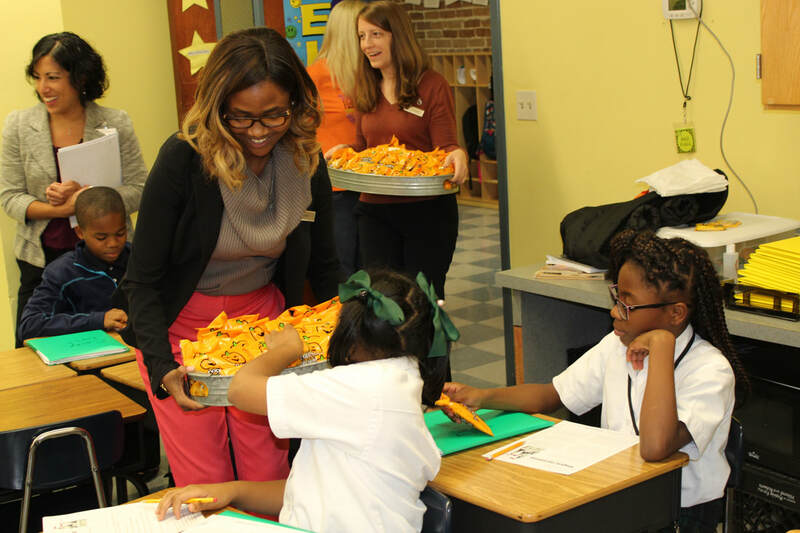 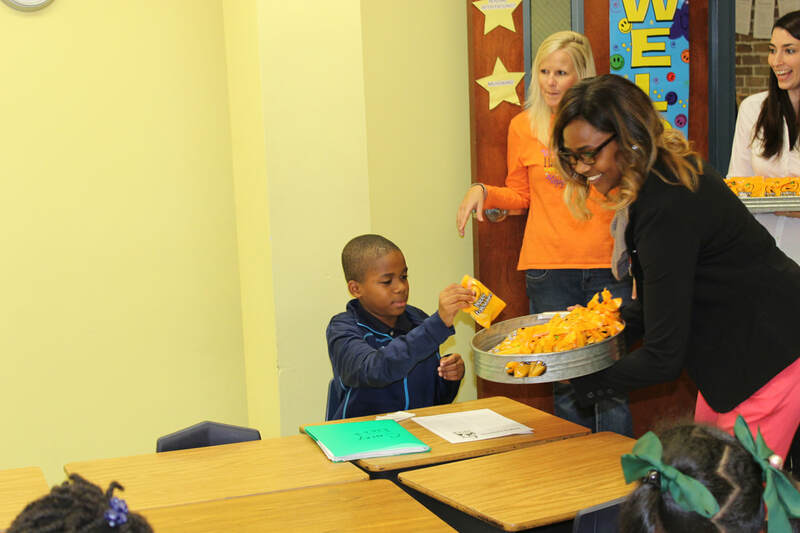 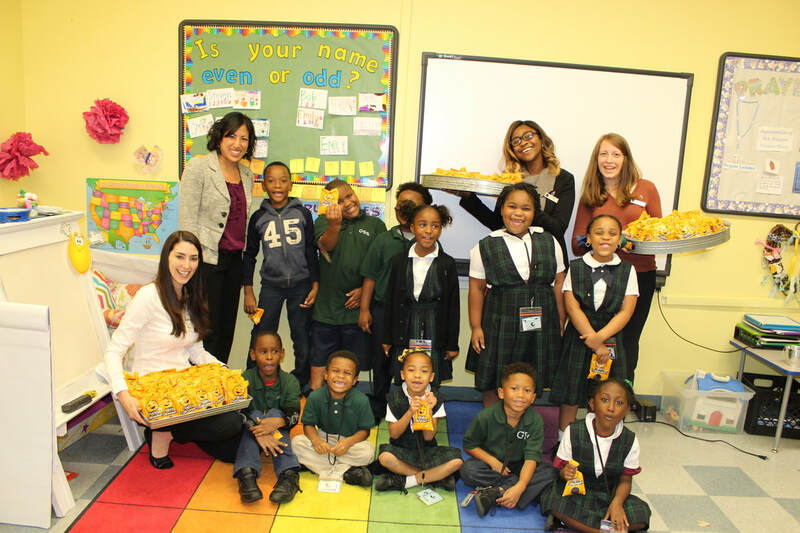 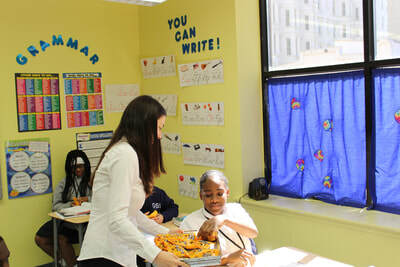 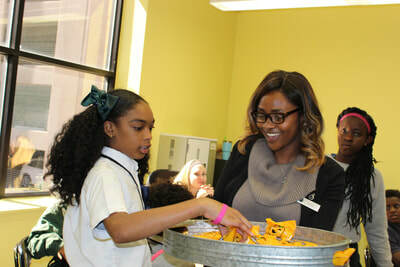 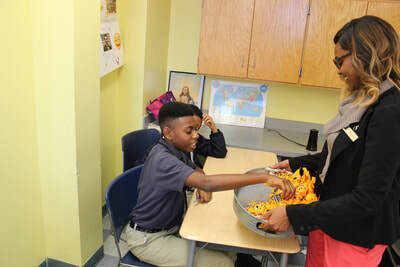 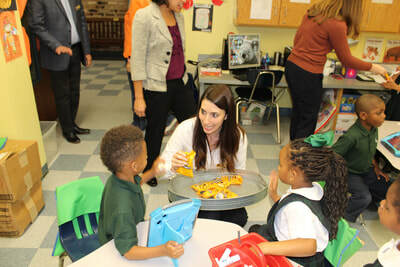 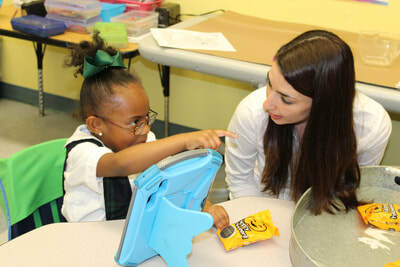 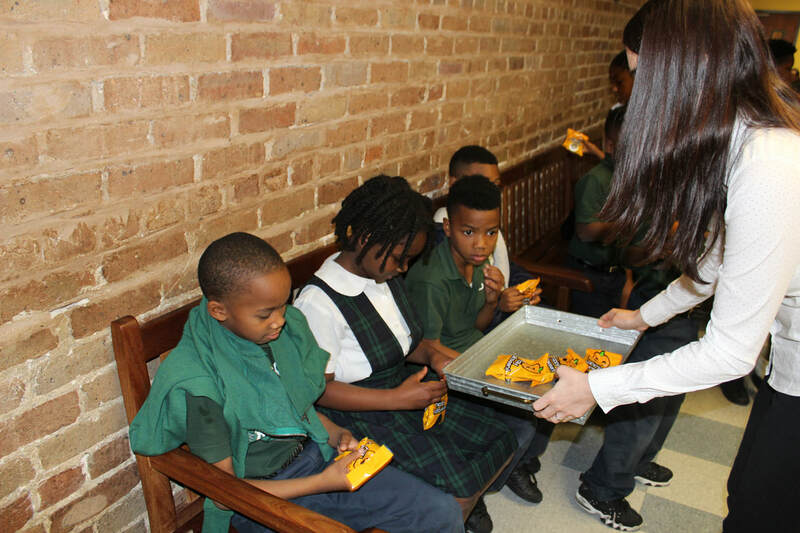 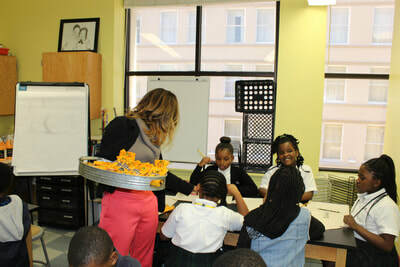 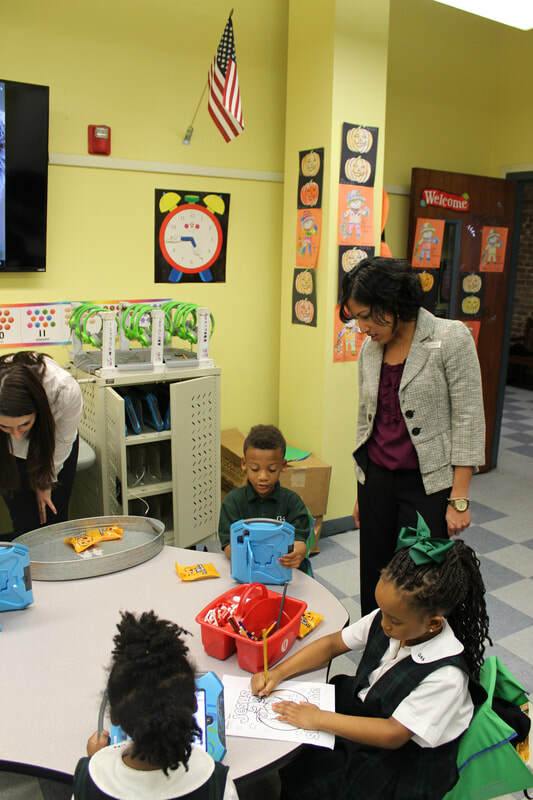 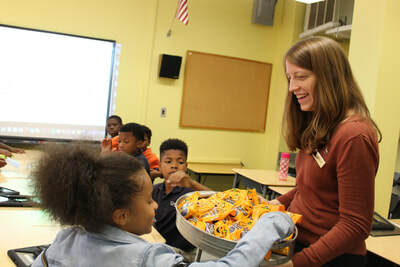 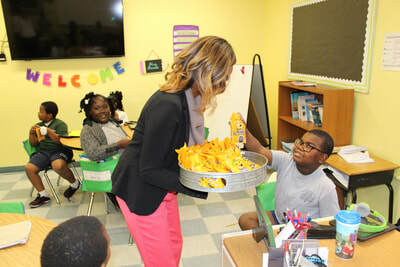 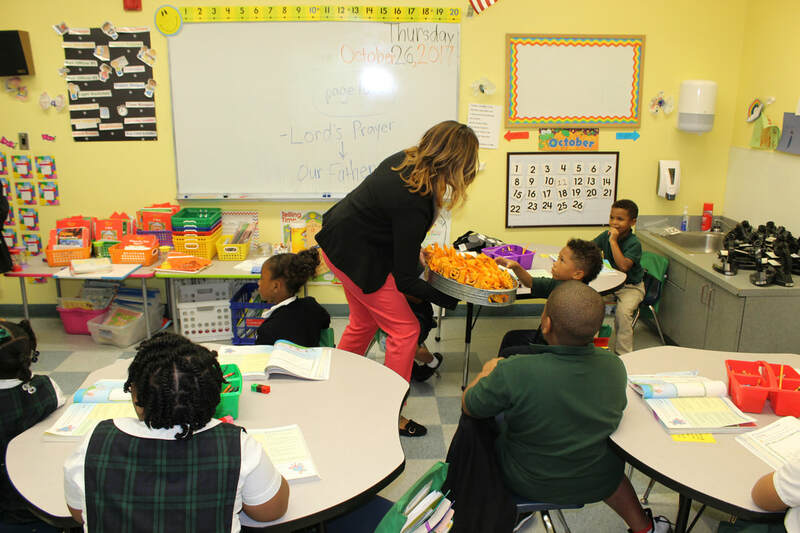 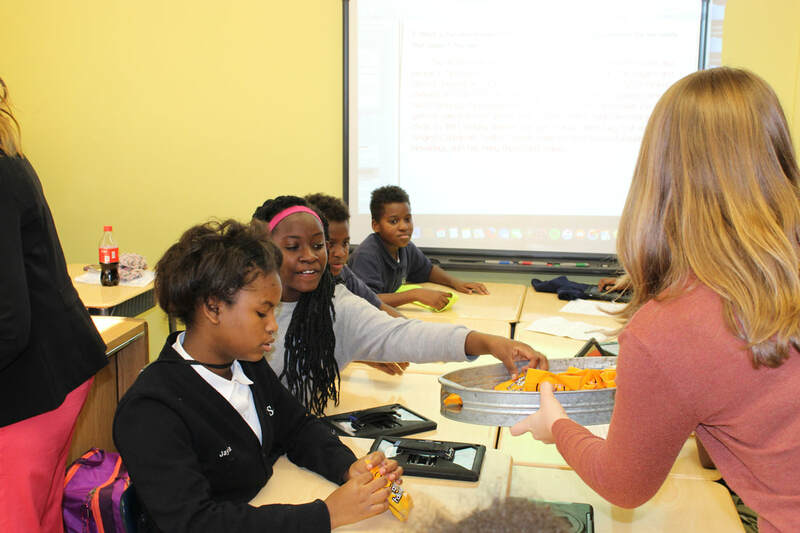 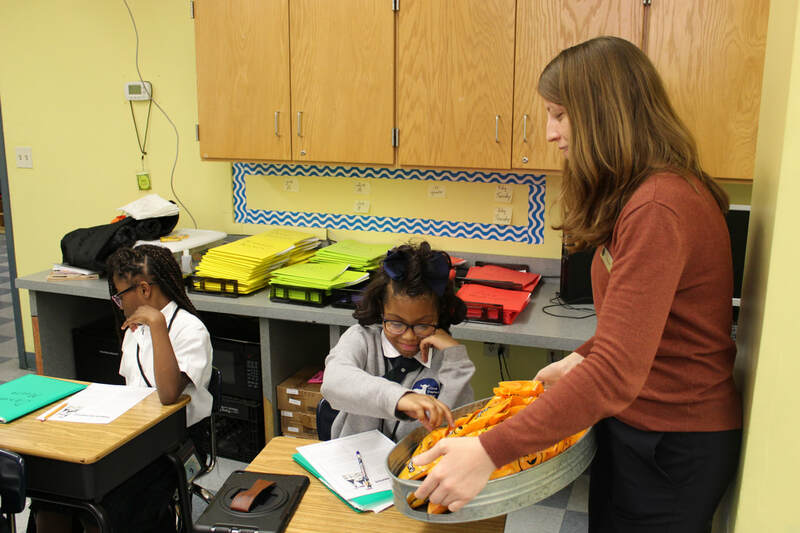 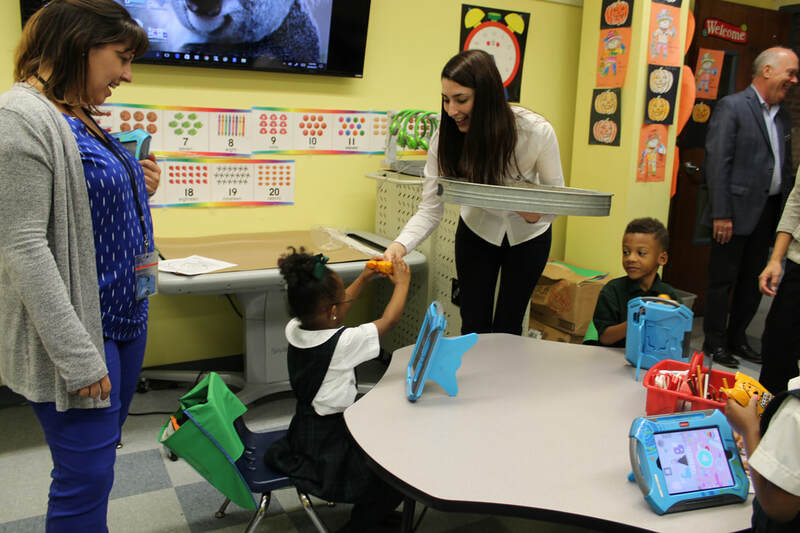 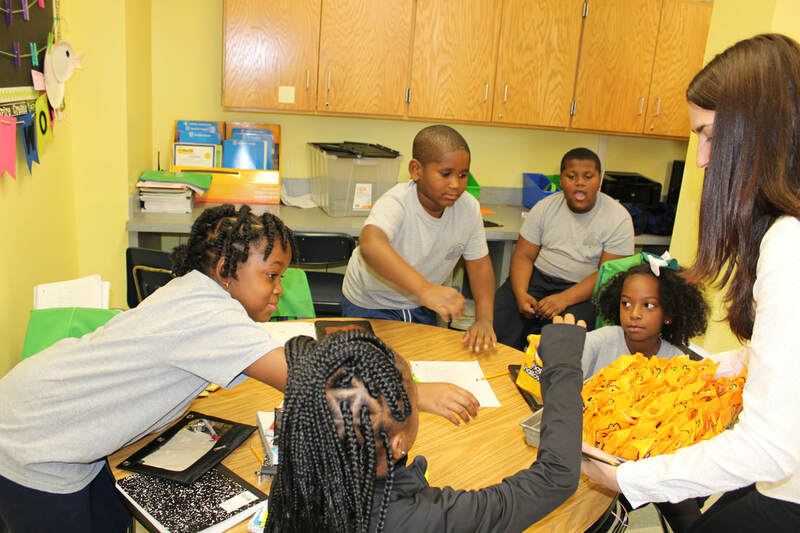 Employees from the NOPSI Hotel, a fellow Baronne Street business, visited GSS this week to meet the students, to distribute Halloween candy and to see what the GSS students were learning inside the classroom. The students were very excited to receive the surprise treats and to meet our community partners. 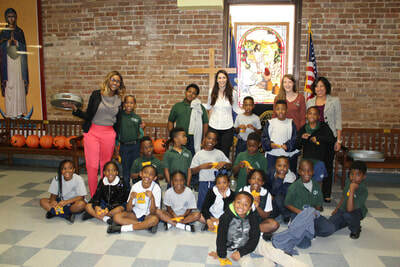 Thank You to the NOPSI Hotel and employees for spending time with the GSS students.